KPN Callfactory was established after the so-called Henny Huisman syndrome, which led to a national telephone network shutdown after an overload. In 1988, TV show host Huisman called upon 6 million viewers during the Soundmixshow to vote for their candidate by telephone. One million people followed this advice after which the nationwide telecom network collapsed. CM continues Callfactory as a trademark within CM. Originally Callfactory has always been a genuine call and IVR company, an application that KPN repelled from 2011 onwards. CM plans to reinstate the Interactive Voice Response (IVR) applications within Callfactory. The knowledge within the Callfactory remains: the employees will be transferred in the acquisition. The service level to the customers of Callfactory will be retained. The acquisition of Callfactory is part of CM’s consolidation strategy within the Dutch, Belgian, French and British mobile messaging market. The basis for this strategy was laid in 2007 after which 10 Dutch and Belgian companies joined or merged into CM. The Belgian mobile service provider MobileWeb, for example, recently merged into CM Telecom Belgium. Jeroen van Glabbeek, CEO of CM: "The acquisition of KPN’s Callfactory is a very important step for CM. KPN Callfactory has a great attraction to the mobile market and large companies. Callfactory was the first and largest company specializing in telephone and IVR. We want to bring this back to Callfactory. Partly due to the acquisition of Callfactory, we expect a revenue growth from 55 to 66 million this year." The acquisition of Callfactory provides customers a wider range of products and services. Moreover, they can now advantage of innovations in the field of sending app push notifications, mobile payments and hosting, and the Network Operations Center (NOC), CM’s 24/7 accessible support and monitoring. CM (founded in 1999) specializes in mobile messaging (push notifications, SMS) and mobile payments and hosting. Nowadays, CM is regional market leader in B2B mobile text messaging. 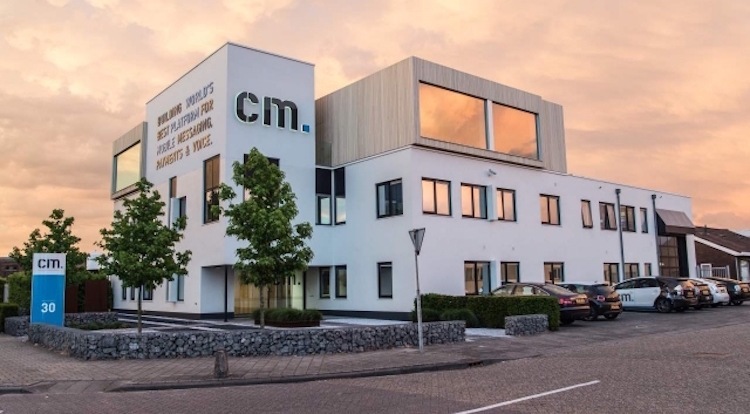 CM has repeatedly been recognized by Great Place to Work Award, Deloitte Technology Fast 50, High Growth Awards and the European Business Award. Would you like to know more about our mergers & acquisitions? Click here!